Road Trip Wednesday is a ‘Blog Carnival,’ where YA Highway’s contributors post a weekly writing- or reading-related question that begs to be answered. 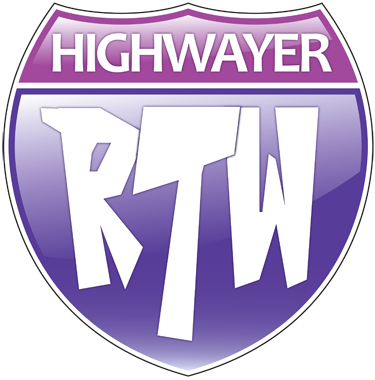 We ,the bloggers who love YA Highway, post our response and then link it in the comments of the YA Highway site. Pretty fun! This Weeks Topic: What’s the best book you read in October? 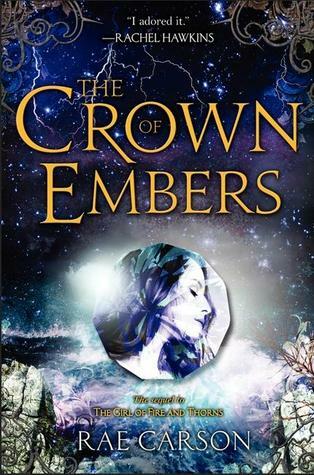 In my opinion the best book I read of the lot was The Crown of Embers. 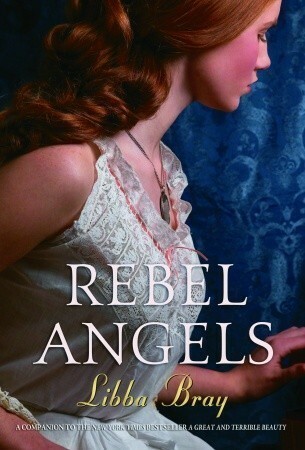 I think Rae Carson did a phenomenal job with her sequel. The addition of the creepy Inviernos guide and the deeply moving love story really kept me interested. But, if I’m being totally honest — and why not be? — the make-out scene sealed it. I don’t want to spoil it for anyone who hasn’t read the book yet, so I won’t go into detail. However, it made my toes curl. I read it three times. I can’t fully even explain why. 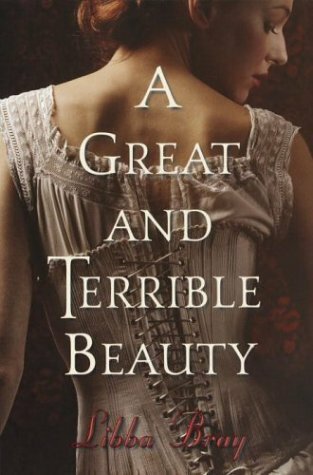 Maybe because of how well she built the tension between the characters, maybe because I have a soft-spot for war-hardened men, or maybe because I think Elisa just needed to be kissed, but it was good. Highly recommend this book, and its predecessor, The Girl of Fire and Thorns. Some of my favorite right now. Elisa is the hero of her country. She led her people to victory against a terrifying enemy, and now she is their queen. But she is only seventeen years old. Her rivals may have simply retreated, choosing stealth over battle. And no one within her court trusts her-except Hector, the commander of the royal guard, and her companions. As the country begins to crumble beneath her and her enemies emerge from the shadows, Elisa will take another journey. With a one-eyed warrior, a loyal friend, an enemy defector, and the man she is falling in love with, Elisa crosses the ocean in search of the perilous, uncharted, and mythical source of the Godstone’s power. That is not all she finds. A breathtaking, romantic, and dangerous second volume in the Fire and Thorns trilogy. Mine grows everyday, I fear. I didn’t read The Girl of Fire and Thorns yet … honestly, I’m not sure I’ll like it, that’s why I didn’t pick it up yet. However, Origin and Unspoken are more my style and I should pick them up soon! 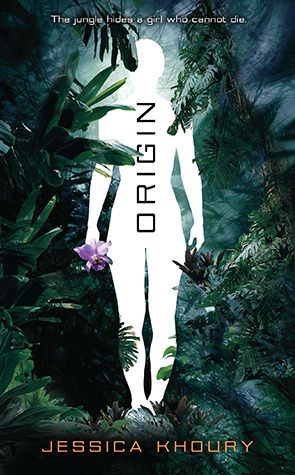 I thought Origin could have been better, so I would be interested to hear your thoughts on it once you read it. 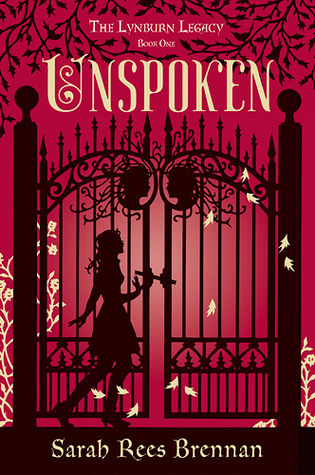 Unspoken was really fun. I read it in a day and a half. Loved so much about it. Happy to remind you! I saw Rae Carson at the Austin Teen Book Fest, and she was really witty and fun, so I am glad to talk up her work. I think she’s got a great ability to weave plot and build character. I’m halfway thru book one right now and I love it! The Girl of Fire and Thorns is such a great book and I have been hearing the sequel is better!! Need to get on that! I definitely feel like she upped the anti for the sequel. Enjoy! I’m waiting to get The Girl of Fire and Thorns from the library. Can’t wait to read it!